I started off the week with a bang. 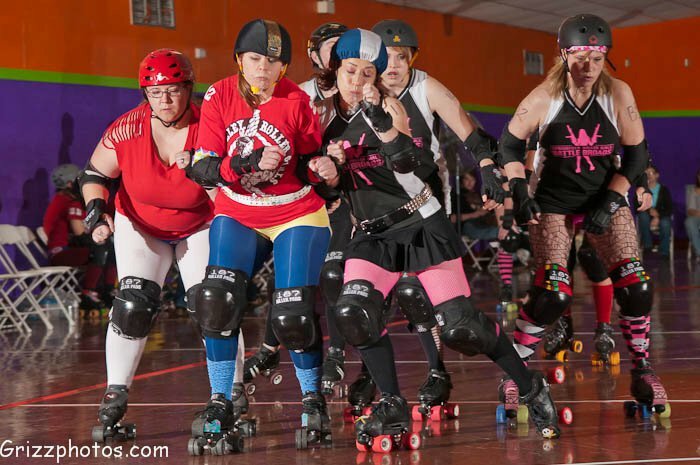 We traveled to Ft. Smith, Arkansas in pouring rain on Sunday, and fortunately, both of our teams took home wins against the River Valley Roller Girls. I was happy with how well I played. But best of all, the Battle Broads pulled together and played phenomenally well as a team for our very first bout. It was an incredible feeling. From the way my body hurt Monday, I know I was dishing out some poundings here and there. But I feel like I look really lame. Still, our next bout is Saturday. We’ve had several girls out with injuries, and I’m dying to get them back on the track with us. If we continue to play the way we did on Sunday, I can ensure you all: it really is going to be a good year. come on now, don’t be modest. you know you always look good in photos.